The NEMA17 Threaded Rod Stepper Motor has a precision Acme Tr8*8 Leadscrew coming out directly from the nema17 as a Threaded Shaft. 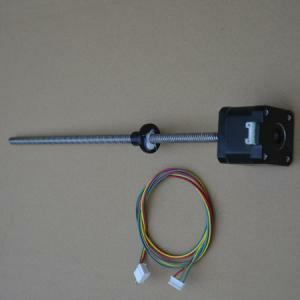 It's a Z axis solution for your 3D Printers. PCD, the size is same with Haydon Kerk. 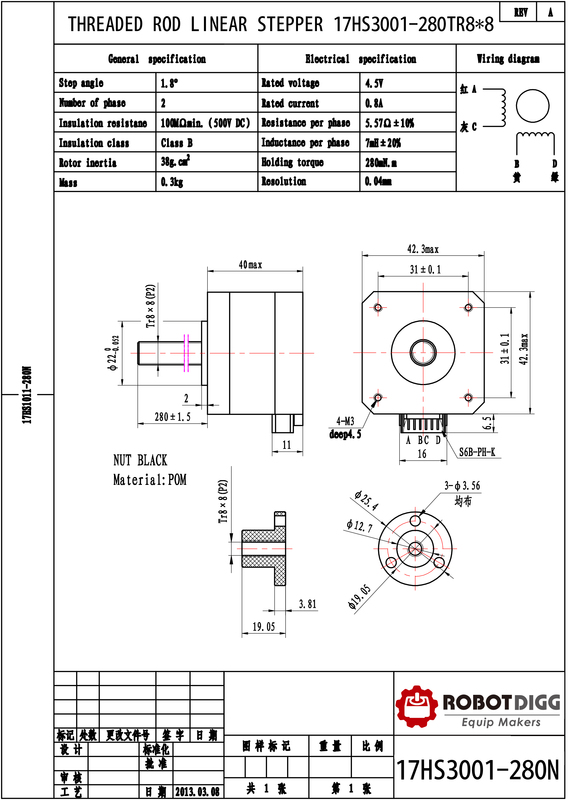 We can do the Acme threaded rod/leadscrew customized length for your specific applications. Also you could have other choice of motor length, diameter, pitch and length of the leadscrew/threaded shaft and a Anti-backlash Nut for this NEMA17 threaded rod linear stepper motor. 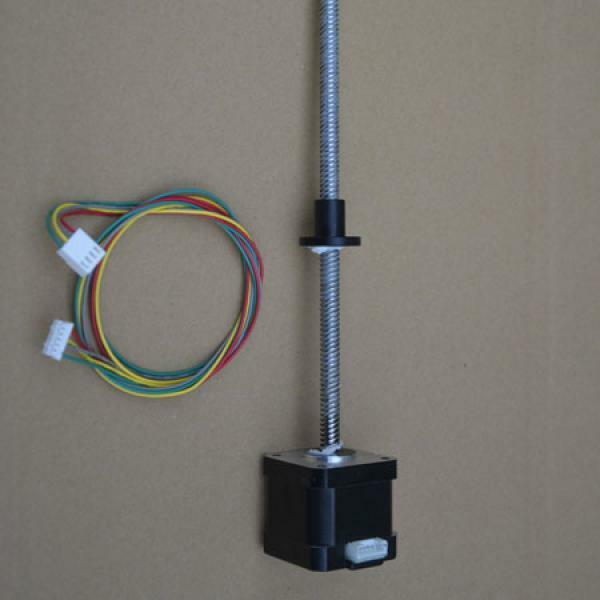 This threaded rod nema17 stepper is the most recommend product from us for the Z-axis of your 3d printer, as well this is a good choice of Z axis of cnc mill, cnc lathe machines.